Six (6) of our wrapped bars each enclosed in a colorful cellophane bag tied with raffia, in prints and colors of the current holiday or season, ready for gift giving! 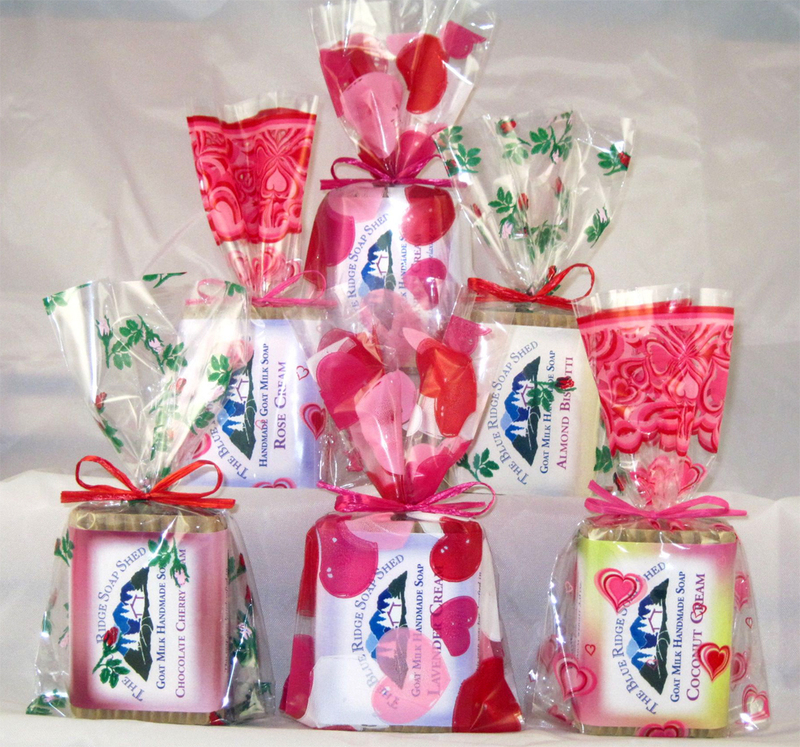 We select six different soap scents from the soap recipe or theme group you select. That's six festive gifts for clients, neighbors, co-workers, your child's teachers, fellow church members or members of any other group you want to remember equally.